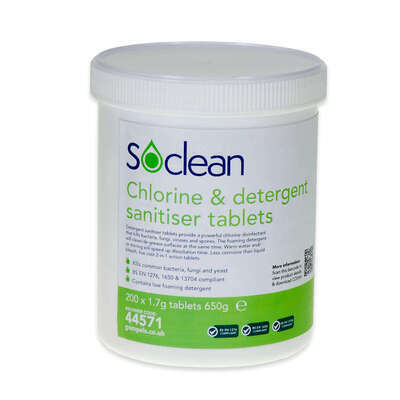 A non-exhaustive method of cleaning and disinfecting many different items, our Gompels Chlorine Tablets with Detergent Sanitiser are intended to offer exceptional value. This large pack of 200 sanitiser tablets can be diluted and dissolved in arm water and used to submerge equipment such as mop heads. Used as an overnight formula, it can provide effective cleaning of cleaning items while leaving behind a clean and clinical smell. The entire pack is supplied in a durable storage box that can be packed away until required.